Life truly is full of surprises. 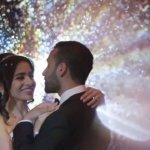 Such a mantra has become a running theme for us here at SDE Weddings, Toronto’s premier wedding videography, cinematography and photobooth group. And in no other wedding have we witnessed ‘surprise’ on a grander scale as was our experience with Ellie & Matt, on their surprise wedding which took place this previous Autumn season, on a memorable October 18th, 2014 in Beamsville, Ontario. Ellie & Matt, a couple with a creative streak in their senses, had planned out an elusive surprise for their aptly prepared DIY-themed wedding day, to the delight of our videographers and cinematographers, whose lenses were present to capture every moment of suspense from their guests. Indeed, Ellie & Matt’s wedding day – from filming, preparation and editing – was one of the most creative projects our videographers and cinematographers have come across. Between filming an early morning time-lapse which outlines the events of the day, to the intricacies of how the couples’ -surprise- wedding would unfold, to the overall DIY aesthetic of their wedding, Ellie & Matt’s penchant for craftiness and creativity stood out to our videographers and cinematographers as something we rarely encounter, and something truly worthy of praise. Scroll further and be ‘surprised’ at just how perfect Ellie & Matt’s surprise wedding had turned out, and the many surprises which we encountered on such an unforgettable wedding day. We here at SDE Weddings, Toronto’s premier wedding videography and cinematography company, were more than excited when Diane & Anthony came to us to help film their engagement video, which took place just this past October 16th, 2014 on a bright autumn afternoon of filming in Toronto’s famous Kensington Market. However, let us go back four years, where a chance meeting through mutual friends begins the story of Diane & Anthony, a young Filipino couple whose common backgrounds and professions would be the catalyst for their memorable meeting and the bedrock of a relationship soon to blossom. Funny how fate has its ways of pairing a perfect couple together in its strange and serendipitous way. The notion of ‘love at first sight’ and ‘the perfect match’ in this day and age, for some, might be a far-fetched idea only found on the silver-screen. Not for us here at SDE Weddings, Toronto’s premier wedding videography and cinematography group, whose belief in ‘true love’ had only been affirmed even further through our meeting with Liz & Antoine, a Toronto couple who chose our services for their engagement video filmed just this past month on October 22nd, 2014. This chosen day was particularly special for the two, and for good reason. Since Liz & Antoine had met at this very same haunting time of the year, at a Halloween party. In the exclusive engagement video below, you can watch Antoine laughingly retelling the story of how they had met and the start of their very own fairytale, aptly enough, with Liz dressed in full ‘fairy’ fashion.